Fiona Murden helps some of the most successful people in the world to understand their behaviour and improve their performance. 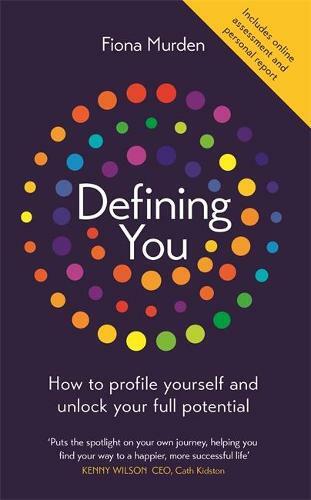 Here she guides you through the professional profiling assessment process in private, to help you discover your strengths, understand what really drives you and learn which environments will help you to excel. Step by step you will build your unique personal profile. Take a psychometric test, run a 360 assessment, draw up your early years timeline and enjoy some valuable self-reflection. Fiona then expertly - and sensitively - coaches you through interpreting your results and taking your next steps to fulfil your potential. Our behaviour is at the core of what we do. This is your ultimate self-awareness toolkit to help you understand both your own and other's behaviour and to positively influence it. Along the way you may even start to sleep better, think more clearly and have good moods more often.